Strategic management is the discipline we know and practice. We help our clients to formulate strategy and, along the way, develop understanding and requisite skills to manage on their own. It is the way we measure success. For thirty years we’ve worked “in” the profession instilling its value, understanding and practical application in each of our clients. And for the past fifteen years, we’ve worked “on” the profession providing leadership to and continuous improvement through our involvement in the Association for Strategic Planning at local and national levels. It all adds up to 45 years delivering education, training and direct consulting services to our clients, the industries they serve and to the profession we are proud to be part of. By continuously improving our skills, practices and tools at the intersection of theory and practice, we are prepared to take on the unique challenges each strategic planning project offers. Before launching a significant effort to develop strategy, understand what you have to work with. 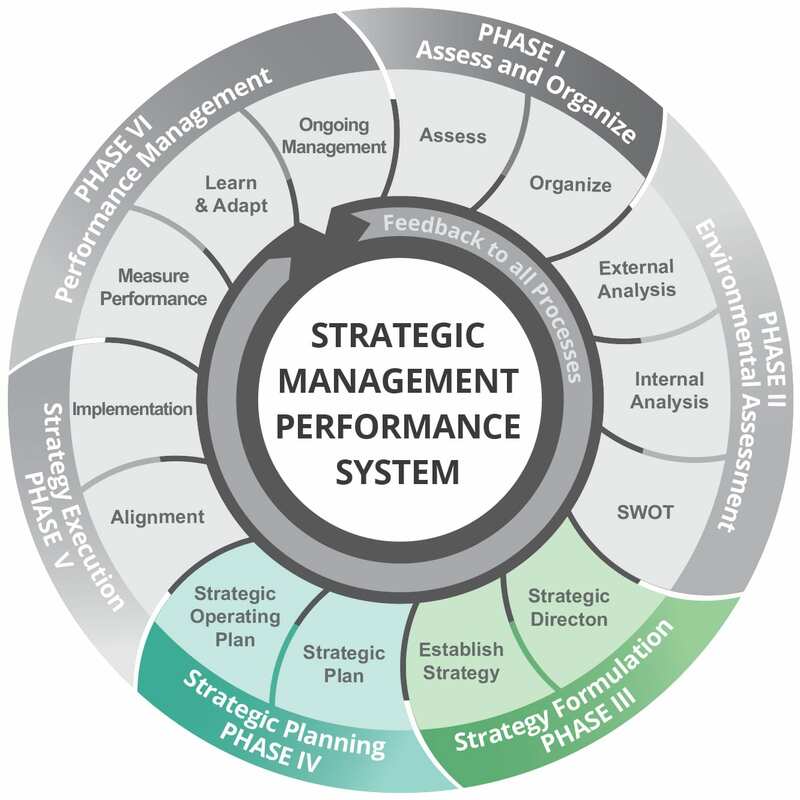 By assessing your ability to plan (current strategic direction and strategic management capabilities), the scope and depth of the planning effort can be defined. Conducting a comprehensive environmental assessment is fundamental to strategic planning. Understanding your current operating environment and ability to function within it is the foundation upon which strategy is built. Strategy formulation delivers achievable vision when chosen strategies match organizational ability to deliver resources and capabilities that can make them happen. Dual focus on the long-term vision and present realities is required to integrate organizational, functional, and project level considerations. Strategic planning delivers a road map for prioritized time-phased action. That said, a strategic plan is far more than priorities and schedules. It is the final output of the strategy formulation process that integrates the alternatives in a coherent long-range plan that will be the basis for leading and managing the organization in the future.